Anger can be described as a wasted emotion that can make you fly off the handle or as something that you should suppress to act like you are not angry at all. Unfortunately, by restraining what you are feeling in any capacity, you are just setting yourself up to have that anger come out in a different way by not working it out in the moment. Bottling up your anger will most likely make things worse for yourself by exploding later when you least expect it for something that you are not even mad at in the first place. In recovery, the suggestion is to feel your feelings as soon and as often as possible. The whole perspective of rigorous honesty alludes to staying in the moment. By sweeping your anger under the rug or by blowing up over everything, you will keep allowing your negative emotions to take over without having any control. Embrace what you are going through. Without taking the time to see what is really going on can make it harder to stop your anger. You are supposed to encompass change in recovery and this includes your mental state. If you can manage your anger with the likes of therapy or step work to identify your triggers, you can see the situation for what it really is and move on. Thinking before you fly off the handle will serve a beneficial purpose for your sensitiveness to anger. Instead of constantly cleaning up the problems that you may create by displaying anger, you can pause to make better decisions than acting on what you are feeling in the moment. This can prove to help you in your relationships with people ongoing. Seek healthy outlets to let go of your anger. Instead of letting your anger continuously get the best of you, find activities that can give you an escape from feeling like a prisoner to animosity. Exercising, meditating, and therapy are a few ways to release your pent-up feelings, but you should find something that is suitable for you so that you can gradually begin let go of your anger. 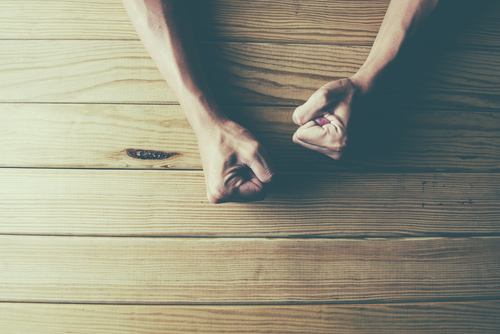 Figuring out how to absolve your anger can be considered part of your self-care in recovery. If you are not taking care of yourself, then you will hinder your personal growth and recovery is all about undoing what you did to become the person that you have dreamt of being. Serenity Oaks Wellness Center is a 5-week extensive treatment program that can help you to begin a new life in sobriety. Our well-trained staff can prepare you how to become the person that you desire to be by giving you recovery tools to adorn your soul. « Is Botox a Good Alternative for Pain Management?